How many more awkward phone screens are you going to sit through before looking to video interviewing solutions for help? With video interviewing platforms you are able to quickly screen candidates while getting to know them well before bringing them into your office. This saves your hiring team time and money normally spent on traveling and scheduling. 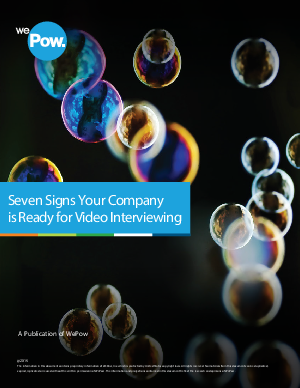 Download this article to learn how video interviewing can make your recruiting process more efficient.